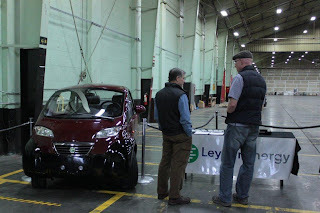 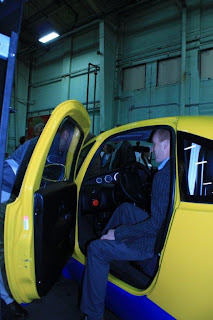 Visitors checking out the Green Vehicles Triac and Leyden Energy battery technology. 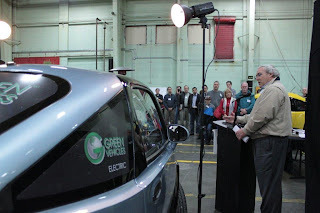 Mayor of Salinas, Dennis Donohue, shares why he's excited about Green Vehicles manufacturing in Salinas. 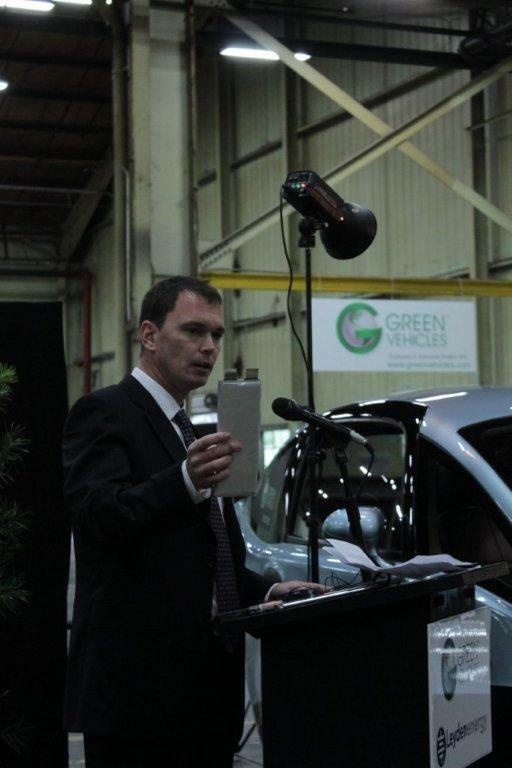 Marc Juzkow, VP of R&D and Engineering at Leyden Energy, describes how Leyden technology is a perfect fit for automotive applications. 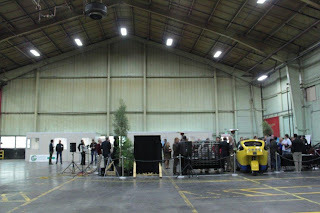 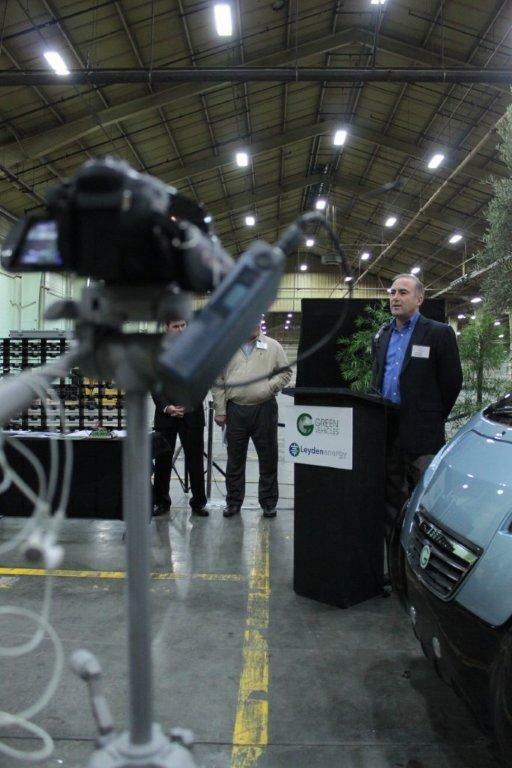 Mike Ryan, President of Green Vehicles, shares about the future for Green Vehicles and the Triac 2.0, to be made in Salinas. 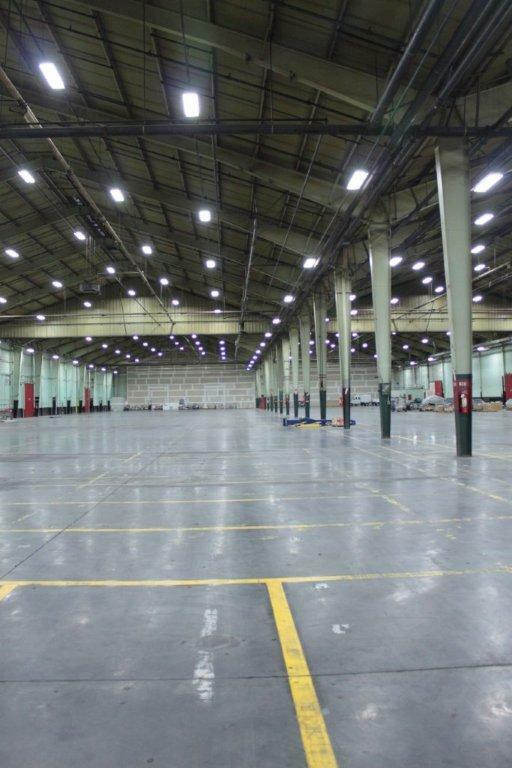 Ever wonder what 80,000 square feet of factory floor looks like?